Every parent knows when kids come, so do their abundance of clothes, toys and other supplies. What do you do when they outgrow it all? You could save some of the items for any future babies, but what happens when your last baby has grown? Some parents choose to donate their items, which is a great idea, while other parents turn to selling their items to make some money back. Selling your children’s items on eBay may give you a way to earn some extra money for your family for savings, a family vacation, spending money or as a bolster to pay your bills. 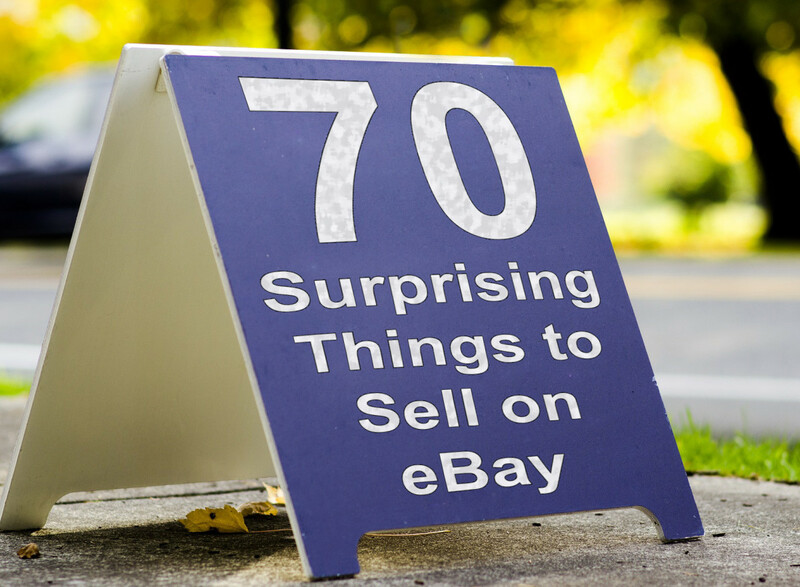 Why not try selling your stuff on eBay? Before you start selling on eBay, you have to sign up. It's quite easy to sign up for eBay. Go to the site, click on register, and complete the forms. Make sure to choose an appropriate name, one that speaks to what you will be selling. 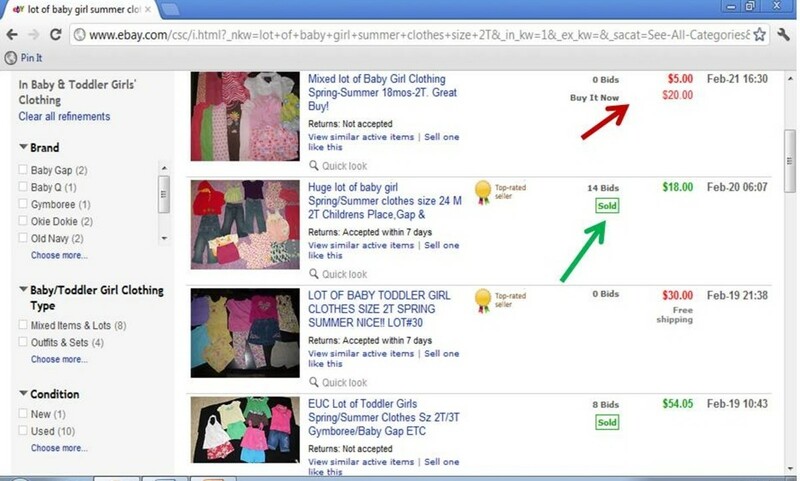 You can also give more details about you and what you're selling in your eBay profile. Click on My eBay at the top of the page. Once there, click on your hyperlinked username that is next to My eBay:Summary. There you can change your profile and add an avatar as you see fit. Once you have created your account, you need to register for a seller's account. On the top of the page, hover over Sell. Click on Seller Information Center. There you can find out how to create your seller's account and learn how to manage selling on eBay. Children’s clothing and shoes can be rather expensive these days, especially if you tend to buy brand name clothes and shoes. Toys can also be expensive as well since parents usually find themselves buying toys several times a year. What about all the baby gear every magazine insists that you buy when you have a baby? The gear can be pretty expensive as well. Many parents turn to eBay for these items, so why not sell it to them? Note: You cannot expect to get what the item was worth in retail unless it is NWT or NIB. Even then, you’re only going to get an amount that is close to the retail price, not more. Set your prices reasonably. Be honest: many of the clothes or toys were given as gifts from other people, right? Therefore, any money you do get from selling these items can be considered profit, even if it is a tiny profit. See below for tips about pricing these items. It might not be profitable to try to sell one piece of clothing at a time, unless it is NWT. Why not sell it in lots? A lot of clothing can be anything from 3 pieces of clothing to much, much more (I have seen some lots with as many as 70 or more items!). Lots are great if you have many clothing items that are EUC or GUC but would benefit any parent. Shoes will often sell one pair at a time, but if you have a few pairs of the same size that are GUC, you’d be better off selling them in lots. Example: Let’s say you have one Old Navy Toddler boy’s shirt size 3T that is in GUC that when it was new cost around $8-$10. Realistically, all you could expect to ask for it on eBay would be $0.99-$2.00. It might sell only if it’s especially appealing to someone, but chances are it won’t sell as you hoped. Why not add in a few more shirts and maybe a few pairs of pants that are also GUC, worth about $60 retail? You could start the bidding at around $1-$2 dollars and perhaps reap around $10-$15 dollars. Not too shabby, right? Sell 5 lots with about 6-10 clothing items each, and you’ll have around $50 in your pocket easy. I sell most of my clothing items in lots. I find that many parents are out there looking for a good bargain, especially when it comes to EUC or GUC clothing. Why? Kids are messy little beings. They like to run around, play in dirt, make holes in knees and all the other fun stuff they do. Why should parents spend a ton of money on brand new clothes that are only going to be ruined in the regular play activities of kids? 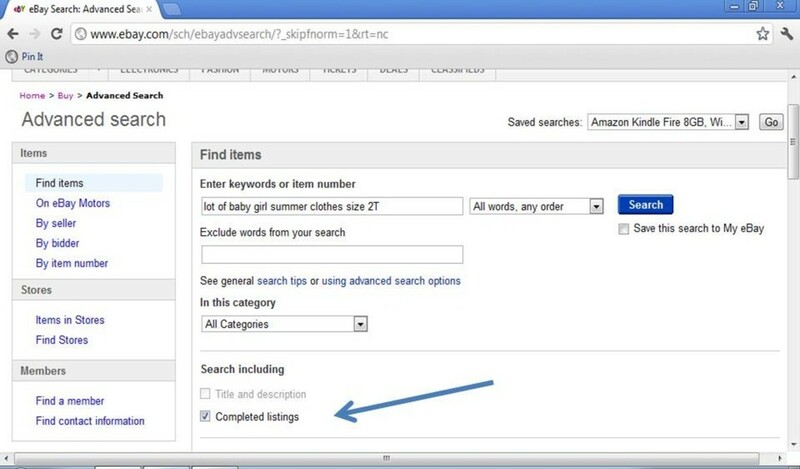 Just as keywords are important in online articles, keywords are very important in the item listings on eBay. You have to think of the words buyers will be using to search for the things they want to bid on or buy. E.g. If I want to sell a few baby dresses size 12 months, I might make the listing read as follows: Lot of Baby Toddler Girl Spring Summer Dresses Size 12 months EUC! In that description, I cover all of my bases: people looking for baby dresses, toddler dresses, spring dresses, summer dresses, size 12 month dresses, etc. It is still an accurate description, but it reaches out to more people as they conduct their search. Just like clothing, toys and other kid items can be expensive for the average household. Keep in mind though, that the toys or other items you intend to sell should be clean and at least in GUC. If you are selling toys, make sure you have all of the toy's pieces, i.e. animals for a barn, clothes and shoes for a Barbie, blocks for a shape sorter, etc. Take clear pictures of the toys, making note of any blemishes the toys may have (my kids play rough at times and drop toys, causing a mark on the toy). Make sure you keep in mind how you are going to ship the item; if it is oddly shaped or weighs a lot, it is going to be harder to ship. If you are selling baby gear, first and foremost make sure it is not on a recall list! Many items as of recent have been placed on the list (i.e. bouncy seats, car seats, strollers, etc.) and you are not allowed to sell them on eBay. Check to make sure they work and have all parts. Take clear pictures, again making note of any blemishes. Make sure you know how you are going to ship the item since many of these items can be oddly shaped and heavy. Prices: Determining the price of your items can be tricky. I’m sure you have a price in mind that would make you happy, but will it be appealing to the average eBay user? Probably not. We parents set an emotional price tag on some items from our kids, remembering how each item was used and how cute everything was. That price usually isn’t very realistic. In the learning center section of eBay, I learned one very important trick: you can search completed listings to see what items were successfully sold and for how much. Bingo! It’s an easy way to set your prices without doing the guesswork yourself. First, locate the search capsule at the top of the homepage of eBay. Next to that capsule is the hyperlinked word ‘Advanced’. Click on that. Next, enter your search terms. I used “lot of baby girl summer clothes size 2T”. Underneath your search terms, you’ll see some check boxes. Check the box next to ‘Completed Listings’. Click search. You will see a listing of items that went through the bidding/selling process. Next to each completed listing there is a price in either green or red. Green means that the item sold; red means that the item did not sell. Pay attention to the green ones for a moment. There are a variety of prices, both high and low. That is determined by the lot itself. Was it EUC or GUC? How many pieces were included? Were the items brand names or generic? If these things are not apparent by the listing, click on the links to find the details. Also worthy of note are the items that did not sell. Often I find that they do not sell for a few reasons: their starting price is too high, the pictures are not clear, the descriptions are hard to read and the shipping is unrealistic. Keep these things in mind! Shipping: If there was ever an important lesson that I learned with shipping, it would be this: be fair, but take all aspects of shipping into account when determining shipping price. What are those aspects? The packaging (boxes, bags, packing peanuts, bubble wrap…), the time it takes to package something, the gas spent in driving to the post office (or other destinations), the ink it takes to print a label, etc. are all things to consider when shipping an item. I have seen this advice given in several forums and articles. Example : I am selling a 10 piece lot of toddler boy clothes that fits in a box that is 12x12x5. I carefully fold the clothes and place them in a clear bag with a cut piece of a dryer sheet (it’s a nice touch…keeps the clothes smelling clean and fresh). Once I have placed my packing slip inside, I close the box and tape up all of the openings with packing tape. With that same tape, I attach the shipping label. So far, the process has taken me roughly 10 minutes to complete. 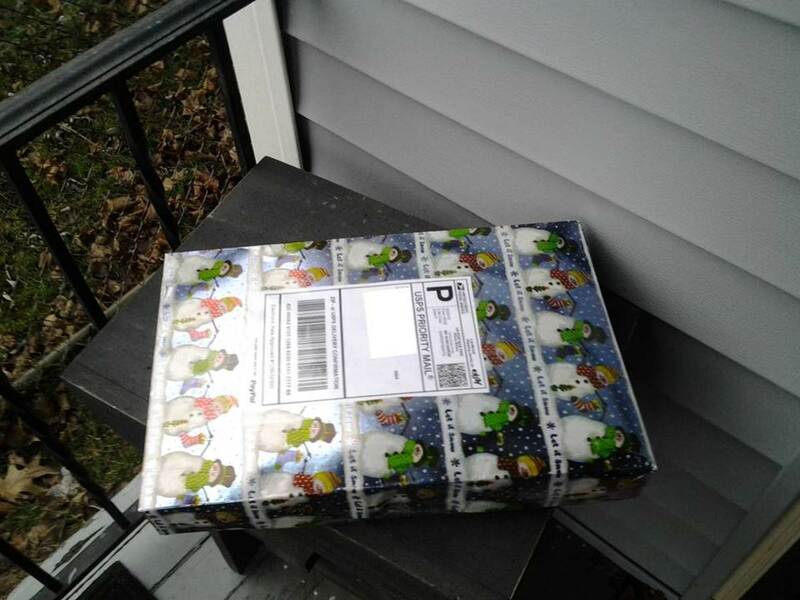 I then walk a few steps to my door and place the package on my porch for the mail carrier to pick up. Viola! I am done. So what does that cost? Well, a lot like that typically weighs about 1-2 lbs. If it ships somewhere in the East, the cost is about $4-$5.50. If it ships to the West, the cost is a bit more, around $6.25-$7.50. My flat rate for all buyers would be around $6.50, taking into account my part in the shipping process. I make a little extra money most of the time from the shipping without going overboard and being unrealistic. If the actual shipping price is more than that, I remember that I am able to sell some clothes that I myself had not bought in the first place, so I am making money regardless, even if I have to pay an extra $0.50 for shipping. For me, it balances out. How do you set your prices on eBay? I use the completed listings, just like this hub explains. I guess my items are worth about 50%-75% less than they are in retail. I randomly set prices. If someone really wants my item, they'll pay any amount for it. I start everything off at $0.99 and hope for the best. What kinds of packages can you use to ship items? Do you have gift boxes from the holidays or birthdays? You can use them to ship clothing or smaller items! I use all of the boxes I get as gifts for my shipping (saving a few for myself of course to use for gifts later...). Reuse, recycle! You can also buy shipping materials almost anywhere, including at the Post Office, FedEx and UPS stores. If you conduct a search online, you will also find that you can get free shipping kits (some with eBay's logo on them) sent to your home for no cost. Use Gift Boxes to Ship Clothes! Set up a PayPal account and use it. 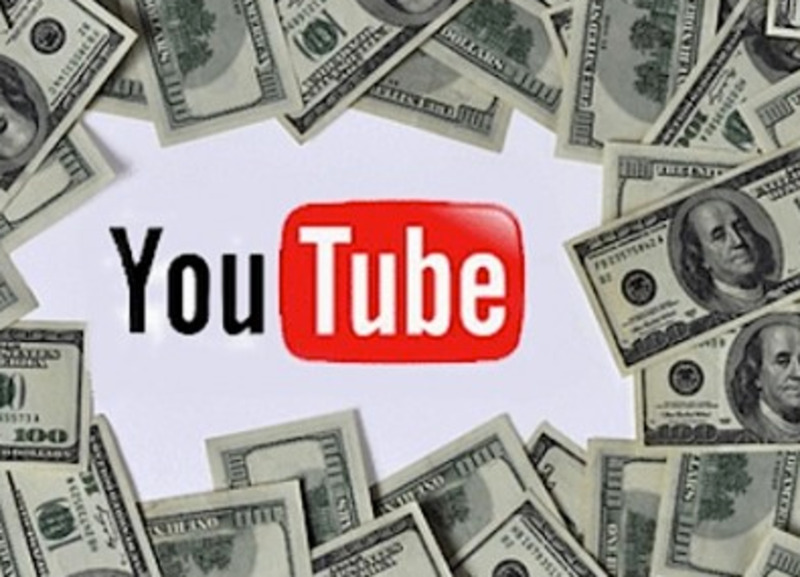 Most of us here on HubPages have a PayPal account, so it shouldn’t be an issue. It’s really easy to set an account up if you haven’t already. Why PayPal? It’s a secure way to receive and spend money when using eBay. It’s also useful when creating and printing shipping labels, which can be done either directly through eBay or Paypal. Be accurate in your descriptions and take clear pictures. Want to build a good reputation on eBay? Give accurate descriptions. Nothing angers buyers more than receiving an item that did not seem as good as the description claimed it was. Also, take clear pictures, even of items that are not perfect. Clear pictures are clicked on more in the searches than dark, blurry pictures. Add a tracking number when shipping. You are not required to enter a tracking number, but the tracking number has useful purposes. The buyer and seller can both track a shipment, making sure it arrives. It also helps when there are shipping disputes. For example, I once sold a book to a buyer in California. I kept track of the shipment almost every day, up until the day it was delivered. When I saw it was delivered, I was content that all was well. That same day, I received an email from the buyer, saying he/she never received the book. I was completely confused, emailing back that the tracking number clearly showed that it was delivered and saying that I was going to contact the USPS. The USPS confirmed what I saw: the book had been delivered. Basically, in my mind, it was a scam. The buyer was just trying to get the money back while at the same time keeping the book. On the other hand, it could have been taken by a neighbor or a passerby, so just to be decent about the whole thing, I refunded the money for the book, but not the shipping. Promote! Use social media to promote your items. In every item description of the items you sell, you will see three little icons to the right of the page: email, Facebook or Twitter. You can use keywords and hashtags to reach your intended audience. Just remember: DO NOT SPAM! 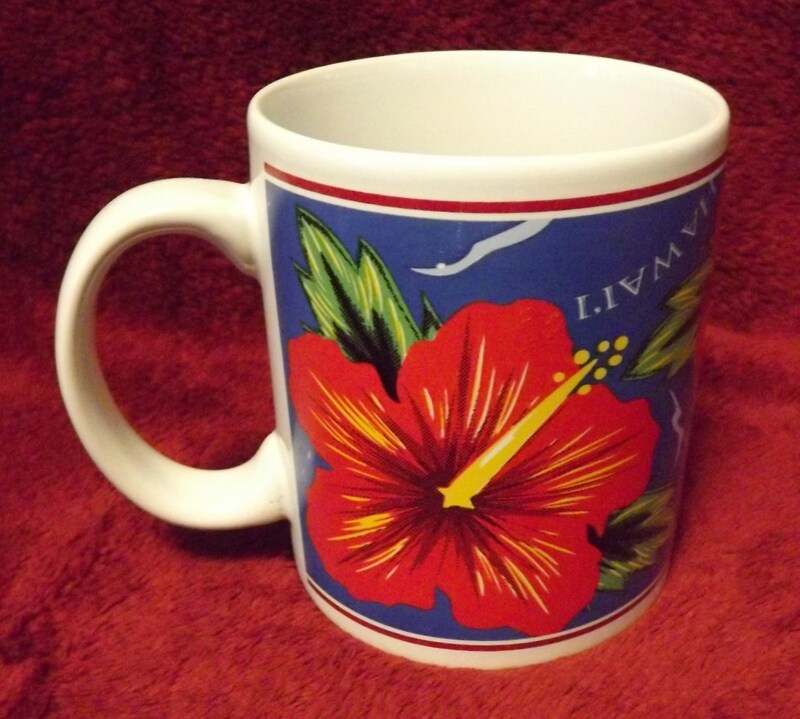 I use Twitter sparingly to promote some items, but it does help to get some views. Add a personalized note with your item. When you ship your item, you are encouraged to send a packing slip with it. On my packing slips, I add a handwritten 'Thank you', a trick I have learned while researching how to sell on eBay. Just like with anything on the Internet, it's best to learn all you can before you begin. eBay has a wonderful learning center for its users. To use eBay's Learning Center: Hover over Customer Support and click on Learning Center. Take note of the four categories they present you on the landing page. If your intent is to sell, focus on the seller's categories. You will find so much useful information, with quick guides, videos and even classes they offer. Remember: it takes time and patience to build a good reputation on this site. Learn all you can and be mindful of all tricks and tips you learn along the way. Have fun selling on eBay! What did you learn about selling on eBay? Was this helpful? Let me know by leaving a comment! Thanks! Jordan Poulton, thank you for your comment. 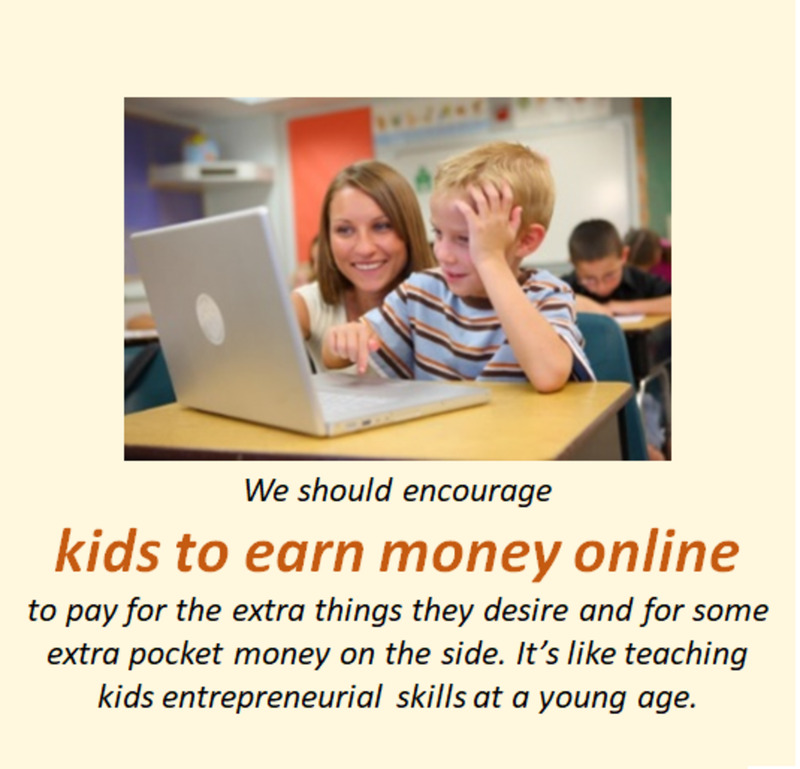 Once kids are old enough to sell, it would be a great idea to have them involved. Unfortunately, you're comment won't appear due to the promotion of your site. As you can see below, HP doesn't like when comments are used for promotion. Sorry, but thanks anyway! fpherj48, it sounds like you have a nice family! I was an 'oops' baby to young parents too. My great-grandparents were only in their 60s, and my great-great grandmother was in her late 80s. It was so nice to have so many relatives from the older generations. And now, after having my kids, my grandparents became greats. :) Samantha is a lucky girl to have such a fun, YOUNG great-grandma! Thanks for stopping by again! Thank you...Well....I was 21 when I had my son....he married young (HS sweetheart....still together...still happy & crazy about each other).....and my grandson, who is a handsome young Athlete, Braniac, stud muffin...had a "oops" baby, apparently trying out his equipment.....but she's the sweetest most adorable Oops we ever saw. "samantha".....My son and daughter-in-law have custody....(but anyway, next month this great Gram will be 64) Don't spread that around!! You're a great-grandma?? Wow! May I say, you look amazing!!! Thank you so much for giving me a great laugh today! Hey, PracticalMommy.....This hub made me realize there's something seriously WRONG with me....as in "what am I thinking? ".....I was cruising for hubs to read and came across this one, which gave me quite a shock...because I have a tendency to read fast and partial...when browsing, all I saw was..."Want to Sell Your Kids...?" I had to think you are one lady who takes being a "practical Mommy," to extremes!!! ROFLMAO!! Please...lets' just chalk this up to the fact that I'm eons past the mommy stage....as in Great-Grandma...so, pay no attention to my strange behavior!!! Do your kids know how you feel? I love eBay. I've sold lots of my clothes on eBay; also lots of books. You spent a lot of time and effort on this Hub. I voted it UP,etc. This is excellent and so helpful. I wont be selling children's clothes because I don't have children at the moment but there are other things I'm tempted to sell and your Hub is so explanatory and helpful. Thanks. Bookmarking, for the day I get started. teaches12345, congrats to your friend for achieving the top seller award! That's awesome. It is nice receiving a little extra income from the site. alezafree, that's how I started selling on eBay. I found all of the new clothes my kids had doubles of and never wore and sold those first. I then realized there is a market for EUC and GUC clothes and toys as well. cclitgirl, you'd be surprised how many people tried selling dirty, stained clothes and broken toys! And the prices they want for them--yikes! Of course, it depends on how stained or dirty the clothes are. If it's a pair of well made jeans with a little wear and tear in the knees, someone will buy them for play clothes. As for the toys: the only time broken toys sell is if they have a usable part that someone else could remove and use on a good model. Other than that, no one is going to buy a broken toy when they could go to Goodwill and buy a gently used one. wow you put a lot of time and effort into this hub. If I ever want to try to sell my kids clothes online I will use this helpful information. Voted up and useful! Very thorough research done here, practical mommy! I usually donate our used clothes but, your tips sure made a difference...thanks! I have a friend who sells on ebay and she was award top seller award last year. She loves the extra income from this online auction site and it is so easy to use. I love browsing through the site and finding items of value. Great informational hub and useful. Voted up! I honestly never even thought about selling my son's clothes and toys on eBay, but it makes perfect sense. We have so many things he never even wore, still in perfect condition. Thank you for the idea. Voted interesting and useful!! What an excellent hub. My daughter-in-law loves to have garage sales and, of course, the children clothes sell first. I am going to give her this because, more than once, she has mentioned trying ebay. Voted up and (extremely) useful. Great hub PracticalMommy :) Voted up! I have sold a couple of items a few years ago on ebay. It was not kids items tho. I usually donate them and pass them onto to family. This is a great idea tho. Thank you for the tips, I may need them when I decide to clean out my closet! twoseven, yay! Take the plunge! :D I'm glad you found this useful. Thanks for reading and commenting. Good luck selling! Thank you for this helpful guide! I've always wanted to try selling some kids stuff on Ebay, but have never known where to start figuring out how to do it. Now I feel ready to take the plunge! Don Fairchild, I appreciate that you saw how hard I worked on this! :D It was a labor of love, for sure. Are you waiting for some good news? That's great! My mom was the same way; she kept some useful baby items at her house for when my siblings and I had kids. It's nice to have grandparents who are prepared! (Just be careful with some things, like carseats. They have expiration dates as their materials can break down and become unsafe. Also be aware of any recalls. You want to keep those future grandbabies safe! ) I hope you get that GOOD news sometime! :) Thank you very much for reading and commenting. Very nice useful information. You worked hard on this we can tell.